Happy monday! Since this time of the year requires some caffeine for many of you to keep on studying for those midterms, work on projects, etc., I’ve found you a nice coffee place to try! I’m personally taking a break from coffee, but I’ll be back on the “coffee scene” soon enough! 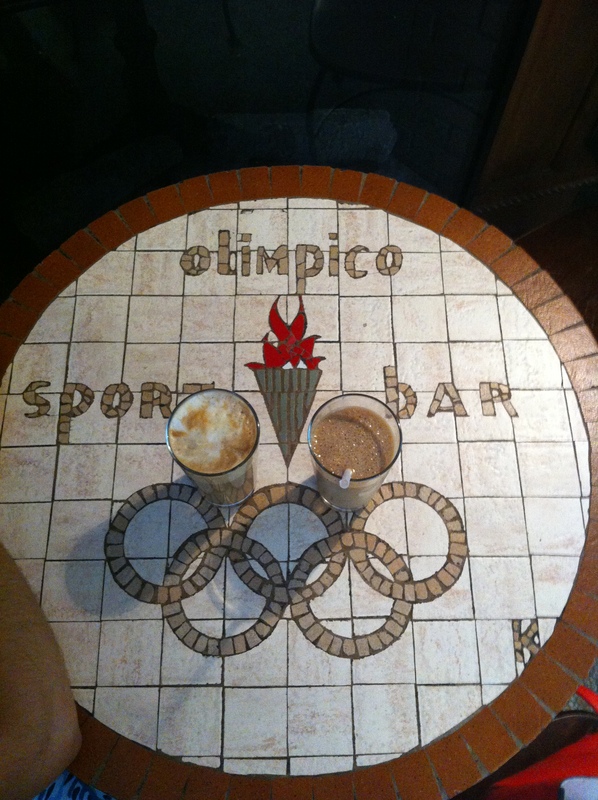 Since 1970, Café Olimpico offers delicious coffees in the heart of Mile End in Montreal. They serve a selection of coffees made with a selected balance of Arabica coffee beans from Central and South America. It is a nice and cozy neighborhood coffee place to grab a coffee in the morning or hang out with some friends while enjoying a cappuccino or a latte. They have a patio during the summer months. The decoration is simple with Italian touches here and there. During my visit, I tried the Latte freddo, which is an iced latte. It was simply wonderful! Refreshing, with a nice coffee taste and not too sweet. I also tried the Latte and it was very good. The small round tables inside are cute and welcoming. I will definitely be back!